We have had over 20cms (almost 8″) of rain at the house. It has been very rainy and more rain is predicted. 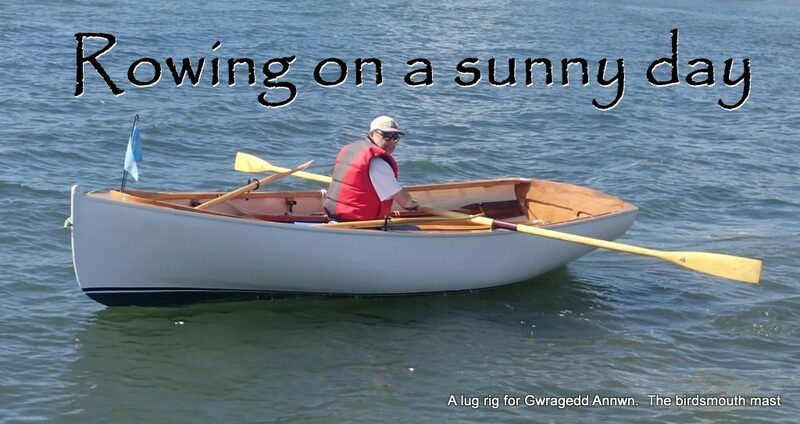 I decide to wet sand the mast tomorrow. Well, it is now tomorrow and it is supposed to rain all day today. I was all set up to wet sand the Mast and Masthead plug today in the rain. Would you not know it…no rain today, but the temperature is just over 13° C today. Well, this is a change of plans. 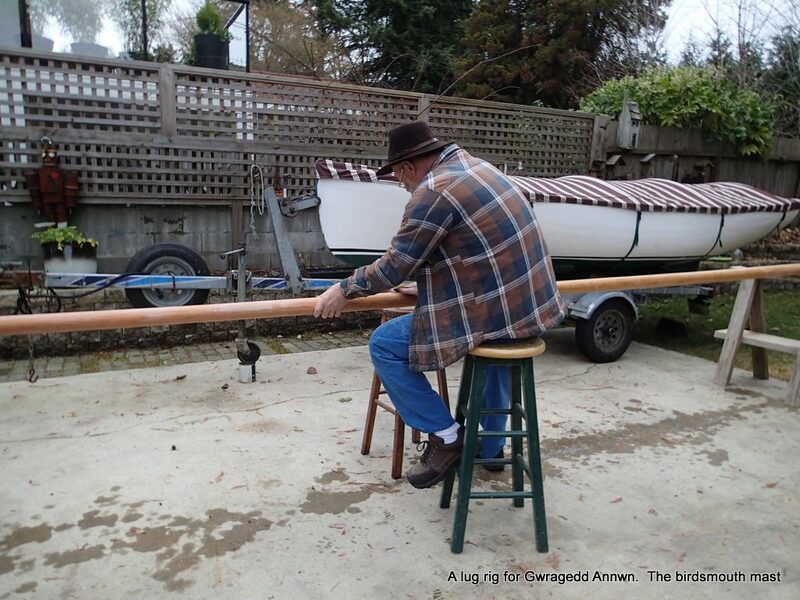 I decide that since I cannot varnish the mast until the epoxy cures, I might as well go all the way with my other “idea”. 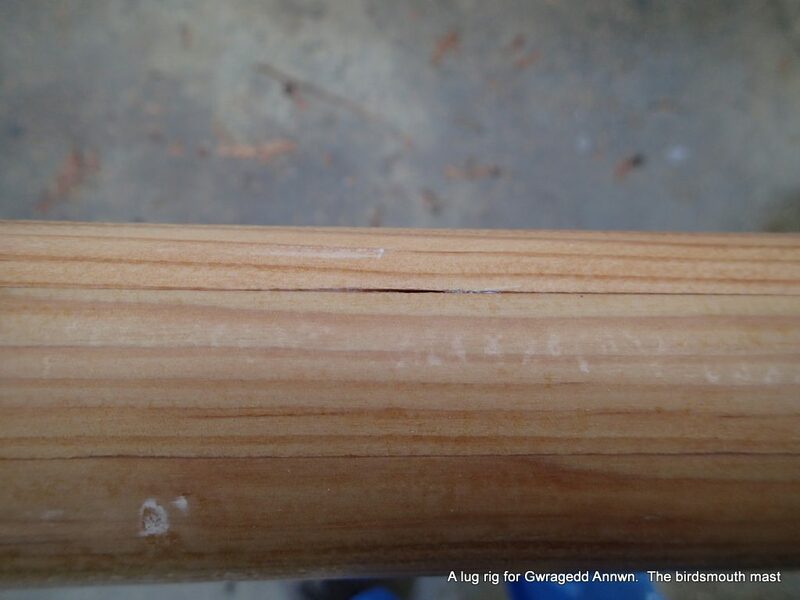 Generally, the base of free-standing masts are reinforced on the inside, as there is a lot of stress placed on the mast base while sailing. 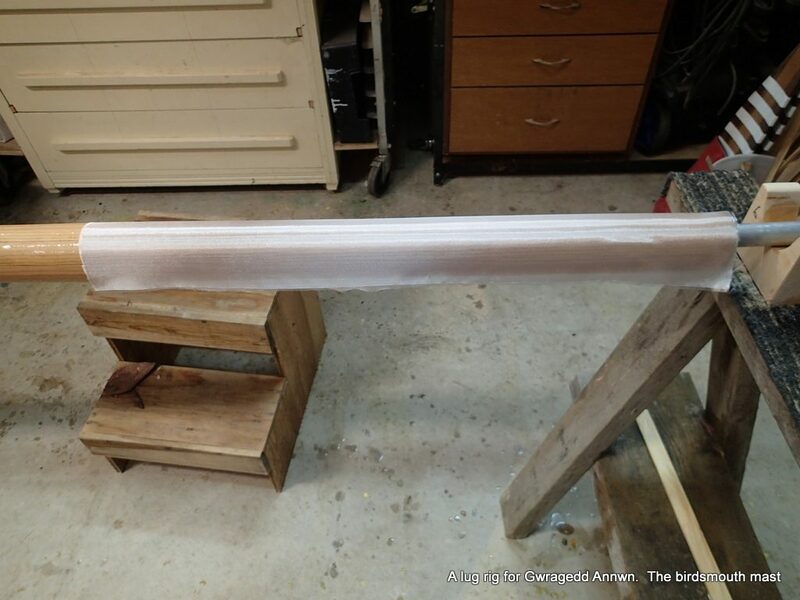 I am going to wrap my mast base with epoxy & cloth to reinforce it. 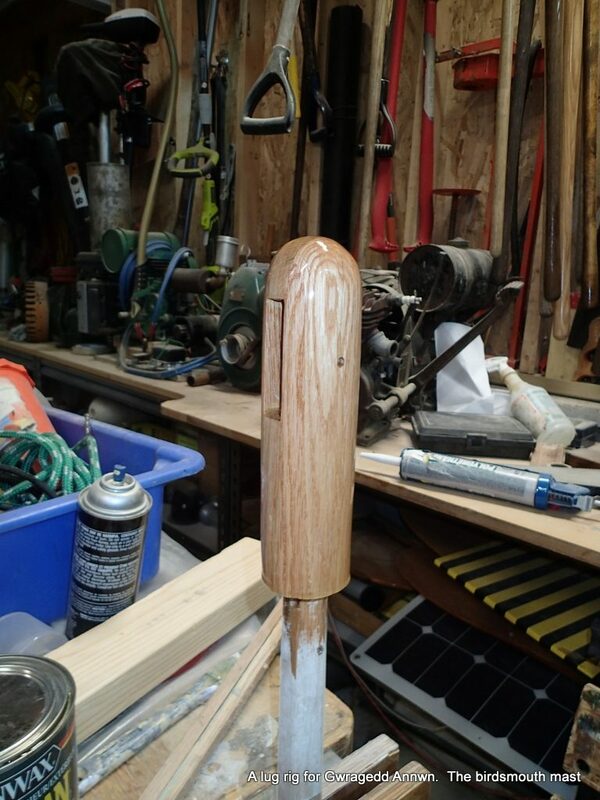 This will also keep the mast from being damaged where it goes through the mast partners (the thwart). 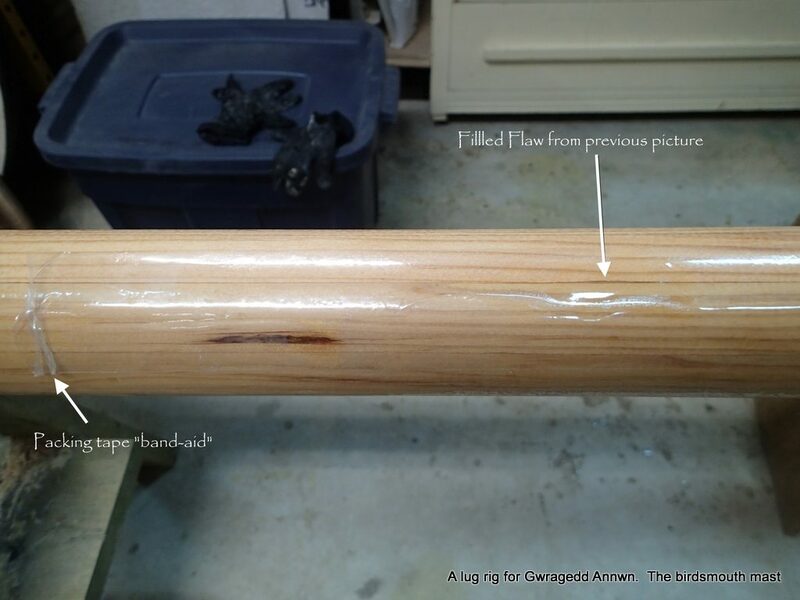 I will still leather the mast at thwart level (about 16″ up) to reduce chafing. 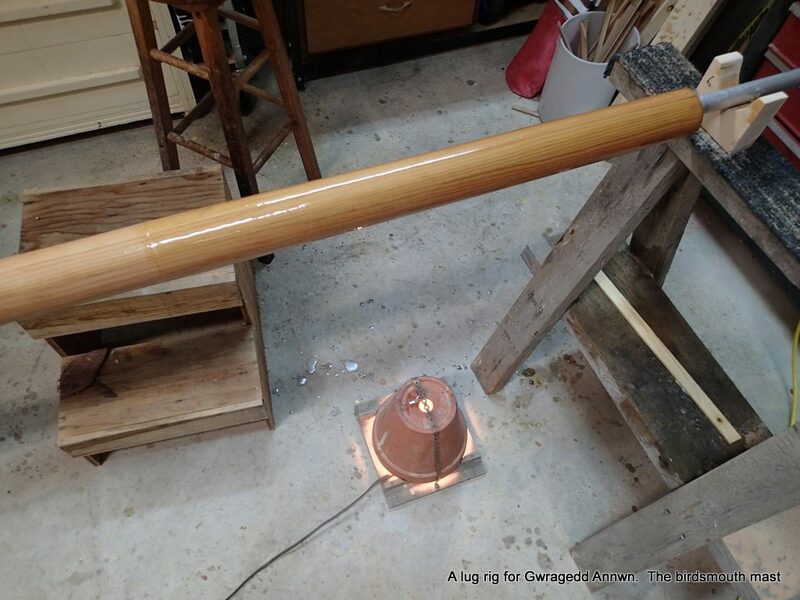 MikePublishedMaking a birdsmouth hollow mast for Gwragedd Annwn part IV is now live. What’s next?Post addressView PostCopy LinkAlways show pre-publish checks.